During his eight years in office, Barack Obama appointed over 100 liberal federal judges who have helped him push his agenda instead of ruling on the Constitution and law. These judges have assumed far more power than our Founding Fathers intended. In fact, they intended the Judiciary Branch of the government to be the least powerful and there for the purpose of checks and balances. Instead, they have assumed absolute authority to make law and nullify law with simple rap of their gavel. I recall some years back when I still lived in God’s country, Arizona, an initiative was on the general ballot to make English the one and only official language. The measure was overwhelmingly passed by the general public, but a few liberal Hispanics challenged the law and one liberal federal judge decided on his own to nullify the will of the people and overturn the law. 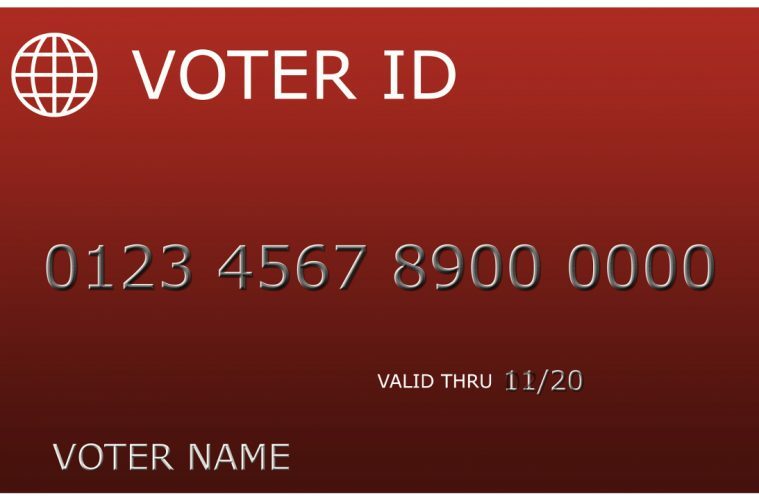 After numerous reports of voter fraud in the 2008 elections, a number of Republican led states passed legislation requiring some kind of photo ID. Despite claims that there wasn’t any voter fraud or that it was few and far between, in the 2008 and/or 2012 elections, there were reports of numerous dead people voting, pets registered to vote, people voting more than once and even thousands of people voting in more than one state. There were also numerous reports of voting machines changing votes from Mitt Romney to Barack Obama. Let’s not forget the reports of illegals and convicted felons voting. There is even evidence that in the November 2016 election that over 3 million votes were illegally cast by non-citizens, but the liberal media and our liberally run government has chosen to ignore this report. Liberals could not allow anything to prevent voter fraud as they intended to win by hook or crook and both. As fast as states could pass voter ID laws, Obama sicked his attack dog, the Attorney General Eric Holder, to use the Department of Justice to challenge, block and overturn as many of the voter ID laws as possible. Liberal Democrats used the argument that the voter ID laws were discriminatory against poor people and minorities. I’ve always questioned the logic of this argument. If I were a minority of poor person, I would be deeply offended by it. I once heard Holder explain that many poor people and minorities were unable to obtain a valid photo ID and therefore the voter ID laws were discriminatory. He stated that many of these people are on various forms or welfare and were often unable to travel to the locations necessary to obtain a valid photo ID. On really? I know people receiving various forms of welfare and they all need some form of photo ID in order to register for their forms of welfare. If they are able to travel and obtain IDs for welfare, then why aren’t they able to do the same for an ID that would allow them to vote? Additionally, Holder made a comment that many of these people were uneducated and unable to read and fill out the paperwork to obtain the photo IDs. If they can’t read or write enough to obtain a valid photo ID, then how are they able to fill out the necessary forms to obtain their welfare benefits? If they can’t read or write enough to fill out the forms for their photo IDs, then how can they even read a ballot enough to be able to vote for right candidate? Liberal judges ignore those types of arguments and concentrate on the ones about discrimination to knock down or block the voter ID laws. Texas appealed the court’s decision and petitioned the US Supreme Court to hear the case. However, the high court has opted not to hear the Texas appeal. But all is not lost as Chief Justice John Roberts took the unusual step to say that after the case completes its way through the lower courts, then the Supreme Court may still opt to hear the case. Hopefully, by that time, Trump will have appointed a new conservative Supreme Court Justice to replace Scalia and the conservatives will see the real need to protect the integrity of America’s voting system and that they will see the bankruptcy of the discrimination argument. After all, in the wake of the Russian interference, you would thing that everyone would want to take measure to protect the integrity of America’s voting system.